About Us | Living Earth Herbs - Organic Bulk Herbs, Essential Oils, Tinctures and more. 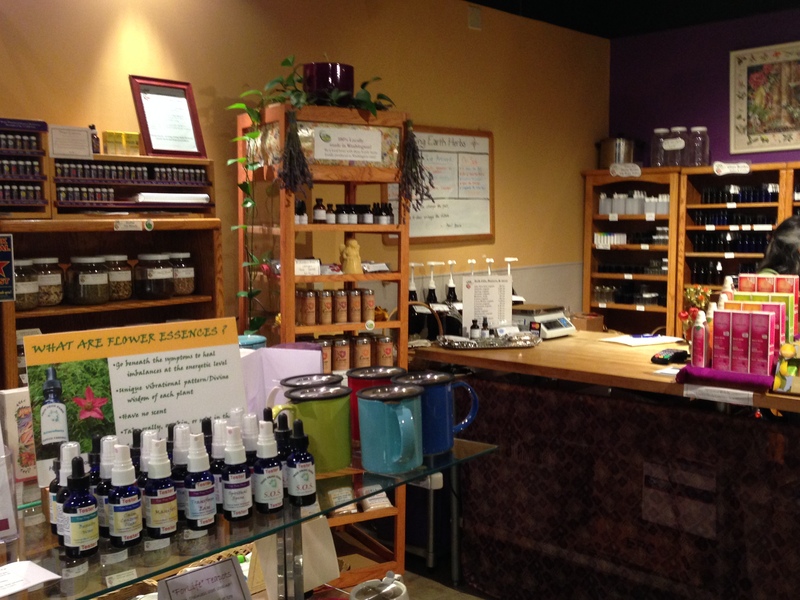 Living Earth Herbs is a community apothecary owned by Michele Sanger in Bellingham, WA. Michele, an Herbalist trained in the Pacific Northwest, began her formal studies 20 years ago with Howie Brounstein at the Columbine School of Botanical Studies in and around Eugene, Oregon. Over the years, she continued to add specialized training programs by studying with Michael Moore, Susun Weed, Adam Seller, Cascade Anderson Geller, Paul Bergner, and Diana Pepper. Michele uses a combination of knowledge, experience, and intuition when blending custom formulas. Besides formulating for individual customers, Michele has enjoyed collaborating with Naturopaths, Midwives, Chiropractors, Veterinarians, Massage Therapists, and Spa Owners to create custom blended teas, tinctures, salves, and essential oil blends for both retail and wholesale purposes. All of the employees at Living Earth Herbs have completed apprenticeships with Michele, and are actively encouraged to continue studying herbal medicine in all its many forms. Many choose to contribute herbs grown in their gardens and wildcraft herbs for the shop too. Living Earth Herbs is proud to make all of their own salves, infused oils, and teas, as well as their uniquely formulated tincture blends and essential oil blends. Living Earth Herbs is a family-run business, and it is not unusual to see various family members behind the counter or on the computer, contributing their skills and energy as well.